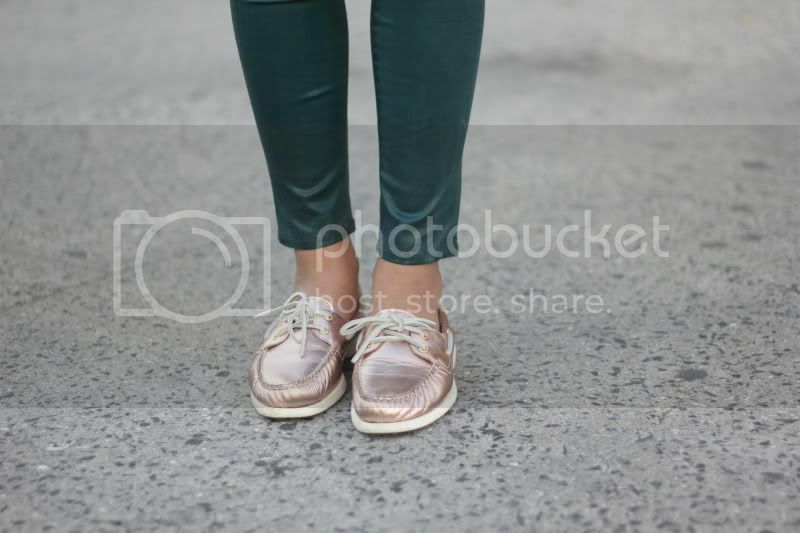 Wore some rose colored Sperry top sider's while hanging out on the east side this weekend. The warm weather permitted dinner outside and Stella's served out of a chalice (sorta). The Dallas BBQ is cheap and perfect for people watching. An activity I had no idea could consume so much of my "eating" time...so little time talking and so much time just staring at people, letting myself make eye contact till I burst out laughing. i saw you in a kmart spread in an essence magazine today! such a great look! love those glasses on you! Looking great! I like your jeans and shoes a lot! you should smile more often cause i love your smile:) and you're soooo beautiful<3!! love the hair! chic outfit love those shoes! Love it, I have those same pants and I love them. love it! :) love your shoes! want ones!!!!!! I love the jeans and the jacket so much! And your hair looks so good! Oh you, I just love this. Like this outfit, but I love your hair the most. Always! Great pants! You look amazing!